Our firm recently consulted on issues related to external fraud and so we believe it is befitting to address this issue here. Most of this article will be to educate persons on this issue than to tell a story. You will find in reading this blog that educating the public is also one of our goals in posting here. Our hope is that in reading this information, you become more informed of this issue. The Washington Post recently conducted an investigation where they found that over 1000 nonprofit organizations have had a “significant diversion” of assets since 2008 mostly attributed to theft or embezzlement. The losses suffered by some nonprofit organizations sometimes amounted to tens of millions of dollars as reported on the organization’s IRS Form 990 return. For a struggling nonprofit organization, the loss of even thousands of dollars may impair the nonprofit organization from achieving its mission. Therefore, proper internal controls are essential for organizations of all sizes. Embezzlement has been defined as the fraudulent appropriation of money or property lawfully in one’s possession according to Dr. Larry Crumbley in his book Forensic Investigative Accounting. One way a fraudster may embezzle funds is by check tampering. In fact, checks are known to be one of the most frequent fraud schemes with over 500 million checks forged each year in the United States. Many frauds are perpetrated by an employee who gains access to a check and goes on to prepare computer copies and cash them under someone else’s name. Thus, one way a nonprofit can protect it is by incorporating a control concerning checks. 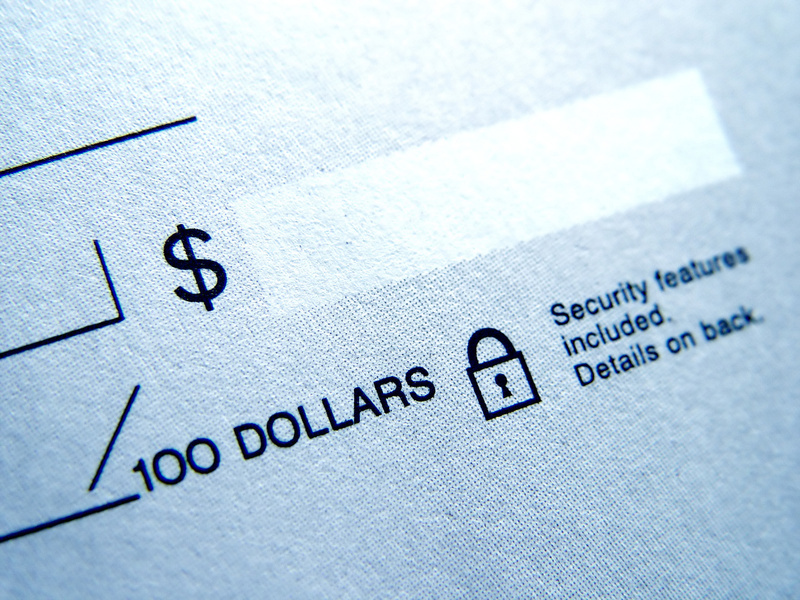 Checks can be imprinted with holographic images, watermarks, and inks that cannot be erased or copy or other types of security inks as one control to deter check fraud. Organizations that wish to do more to identify operations risks should have a risk assessment conducted to expose and strengthen weaknesses within the organization.